heavyweight silk fabric, highly lustrous on the face, with a smooth surface and somewhat stiff to the touch. In the warp eight-bond or twelve-bond satin weave. 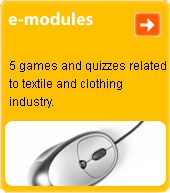 Some types are produced with a cotton weft. D. from natural silk is used for ladies' dresses, while d. from chemical silk is used for linings, decorative purposes and folk costumes.